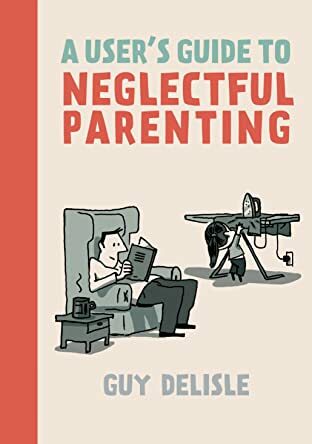 With A User's Guide to Neglectful Parenting, the trademark dry humor that pervades Guy Delisle's landmark and praised graphic travelogues takes center stage. Quick, light vignettes play on the worries and cares any young parent might have, and offer wry solutions to the petty frustrations of being a dad who works from home. Readers familiar with Delisle's stranger-in-a-strange-land technique for storytelling (employed in Jerusalem, Pyongyang, Burma, and Shenzhen) will recognize the titular parent in this book; Delisle's travelogues were simultaneously portraits of complex places and times, and portraits of a stay-at-home dad's ever-changing relationship with his children while his wife is out working for Doctors Without Borders. The relationship between young child and all-too-irony-aware parent is beautifully done here, and Delisle's loose flowing style has been set free, creating a wonderful sense of motion throughout. 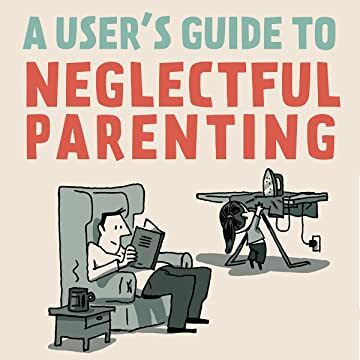 A User's Guide to Neglectful Parenting is an intimate, offbeat look at the joys of parenting.